North Dakota does not have a statewide mandatory energy code. For jurisdictional energy code adoptions, please click here. Effective January 1, 2017 the North Dakota State Building Code consists of the 2015 International Building Code, International Residential Code, International Mechanical Code, International Fuel Gas Code, and International Energy Conservation Code along with state amendments to these five codes. The amendments were first reviewed by the Building Code Advisory Committee and recommendations were developed by the Committee for each proposed amendment. North Dakota is a Home Rule state where the State Building Code applies only to jurisdictions that choose to adopt it. If a city, county, or township elects to adopt and enforce building codes, it must adopt and enforce the State Building Code. However, a jurisdiction is permitted to further amend the State Building Code to conform to local needs. Fully chartered Home Rule Cities may adopt something other than the State Building Code, but at the present time, all that enforce a building code have elected to adopt the same individual codes that make up the State Building Code. Legislative and Regulatory Process: The North Dakota Department of Commerce, in cooperation with the Building Code Advisory Committee, adopts rules to implement, amend, and periodically update the state building code. Rules and regulations associated with a new code are established through the Administrative Practices Act. New editions of the code are considered for adoption as they become available. The North Dakota Building Code Advisory Committee will meet several times in 2016 to review new codes, presumably excluding the energy code. The new version of the statewide code is expected to be effective at the beginning of 2017. You can read more about the 2015 code adoption cycle here. January 1, 2014 The updated North Dakota State Building Code now consists of the 2012 International Building Code, International Residential Code, International Mechanical Code, and International Fuel Gas Code, along with state amendments to these four codes. The amendments were first reviewed by the Building Code Advisory Committee and recommendations were developed by the Committee for each proposed amendment. On September 4-5 2012, eligible cities and counties, along with eligible members of the Building Code Advisory Committee, voted on each recommendation. However, the voluntary energy code requirements are still based on the 2009 IECC; the substitution of Chapter 11 of the IRC is also still allowed. January 1, 2011 Updates to the 2008 State Building Code become effective. By legislative mandate, the North Dakota Department of Commerce, Division of Community Services updated the 2008 State Building Code and reviewed amendments to the 2009 IECC in addition to the 2009 IBC, 2009 IRC, 2009 IMC, and 2009 IFGC. Energy conservation standards must now be included in the State Building Code. July-August 2010 By legislative mandate, the North Dakota Department of Commerce, Division of Community Services is updating the 2008 State Building Code and reviewing amendments to the 2009 IECC (also the 2009 IBC, 2009 IRC, 2009 IMC, and 2009 IFGC). Energy conservation standards must now be included in the State Building Code, though they remain voluntary. 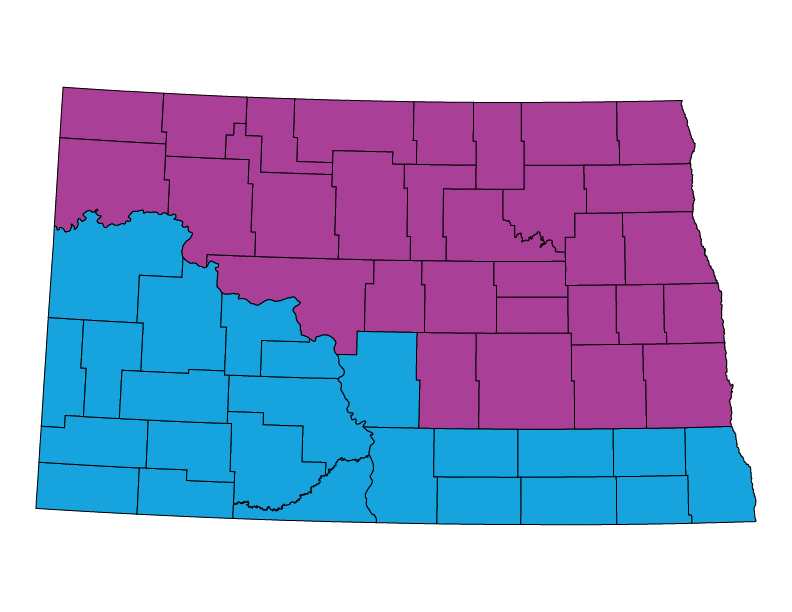 As North Dakota is a home rule state, local jurisdictions can choose to adopt the amended state code, a different code, or no code at all. The North Dakota Building Code Advisory Committee meets on August 11 in Bismarck to receive comments and develop recommendations on the proposed amendments and updates to the 2008 State Building Code. On August 27, DCS sends out the recommendations by the BCAC on the proposed amendments to the eligible voting towns, cities, counties, and committee members. The eligible voting jurisdictions and voting individuals hold a final action hearing on September 15-16 to vote on the proposed amendments. April 22, 2009 North Dakota Governor John Hoeven signs SB 2352, removing the state’s stand-alone building energy standards with the intent of folding new requirements into the state’s suite of building codes. In August, the state’s voluntary energy codes (the 1993 MEC and ASHRAE 90.1-1989) are effectively removed. With the new statute, the state’s Code Advisory Committee must include energy requirements in the state building codes (currently, the 2006 I-Codes with the energy efficiency sections of Chapter 11 of the IRC and Chapter 13 of the IBC removed). These codes are, of course, still voluntary and subject to adoption by local ordinance. December 1, 2008 The North Dakota State Building Code, including the 2006 International Building Code (IBC) and International Residential Code (IRC), becomes effective. However, the energy efficiency chapters (Chapter 13 of the IBC and Chapter 11 of the IRC) have been deleted. July 22, 2002 A new Administrative Rule (Article 108, Chapter 108-01) to implement, amend, and periodically update the state building code becomes effective. 2001 The 57th Legislative Assembly creates a Building Code Advisory Committee to help write administrative rules and to develop recommendations on proposed code amendments. October 1995 The energy code is updated to the 1993 MEC. August 1, 1994 Cities, townships, and counties that elect to enforce a building code are now responsible for adopting and enforcing the state building code, but may amend the code to conform to local needs. Local governments that have not elected to adopt and enforce the state building code are responsible for assuring that plans and specifications for alterations and new construction of their buildings comply with the state building code. 1993 The Legislative Assembly shifts the responsibility for updating the state building code to the Office of Management and Budget, which then designates the Office of Intergovernmental Assistance (now the Division of Community Services) to adopt rules to implement and periodically update and amend the code. During the same year, the 1989 MEC is adopted as a statewide minimum/maximum standard for state-funded buildings and a voluntary standard for jurisdictions that choose to adopt an energy code. 1991 The legislature provides for the state building code to be updated as new editions of the codes are published. This procedure, however, is later declared unconstitutional. Until 1991, the Legislature maintained the authority to update the state building code, but this process did not permit the state to update the state building code in a timely manner as new editions of the Uniform Building Code and Uniform Mechanical Code were published. 1977 North Dakota’s first energy code, based on ASHRAE/IES Standard 90.1-1975, is adopted.